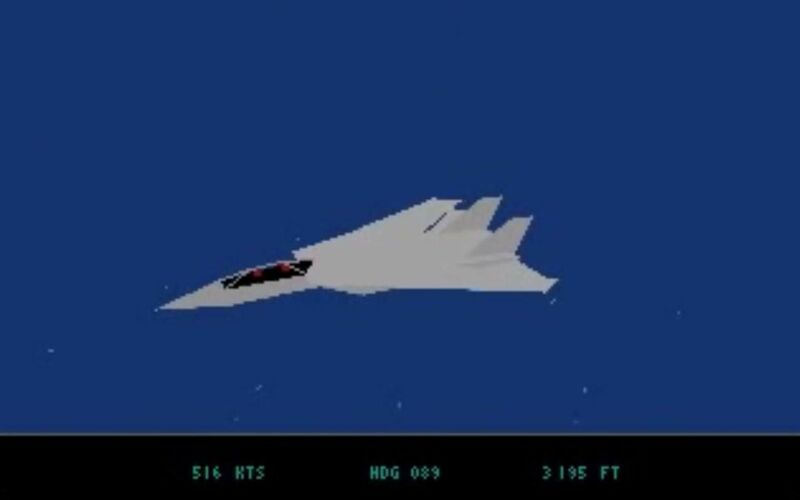 Comments: This was one of the first Flight sims I saw on a PC. 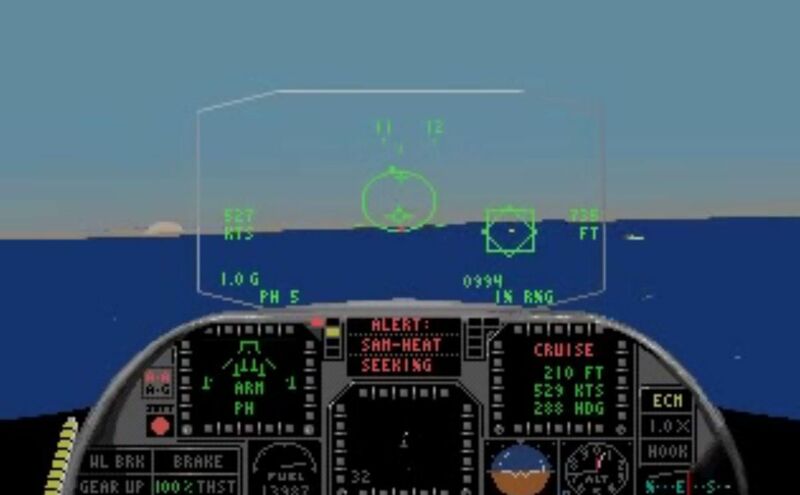 I'll never forget the buzz I got from lining up on the carrier- adjusting the throttle and hearing that roaring, buzzing sound of the engine as it spooled up and down in smooth response. Man, this felt like flying! It couldn't get any better than this !! 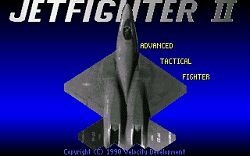 In 1988, an unknown Macintosh developer called Velocity premiered a flight simulation called Jetfighter. 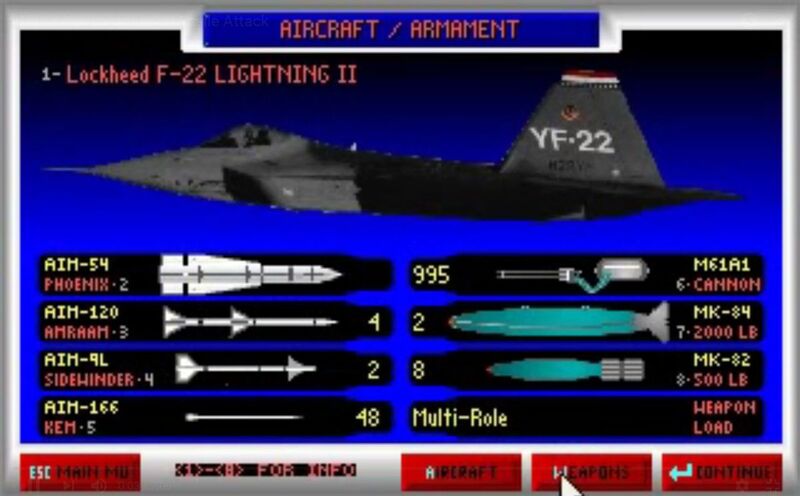 The success of this program lead Velocity to take it seriously and they released two years later a sequel: Jetfighter II.